We are a nation of trends. From music to fashion to real estate. We take notice of home buyers and sellers by trends as well and give them due focus. We have X’s, Y’s, Z’s and a group that will be in the spotlight for years to come: Baby Boomers. Born between the years 1946 and 1964, Forbes Magazine revealed this generation controls more than 70% of the total net worth of households, a total of $7 Trillion. In an article on the website incomehedge.com, it was shown that roughly 27 percent of all owned homes are in the hands of those 65 and older as the home ownership rate exceeds 80% for those aged 65 to 84. This means that over 37 million homes are in a rapidly aging population. According to the National Association of Realtors’ 2013 Member Profile, the average Realtor age in the U.S. is 57. 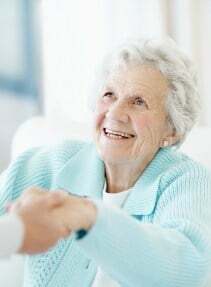 Many of these agents are already in the position of assisting to the matters of their aging parents and some are in complete control of the family’s decision making on this issue. They will make critical decisions about assets and health. This allows them instant insight and credibility, should they choose to share the passion of helping other Seniors in transition. “One client of mine in Maine, 82, hired a contractor. He was recommended by a family friend. He took a lot of money ($15K) from my client to pre-pay for a job. A month passed and he never returned a call, yet the check was cashed. She was really heartbroken about it and didn’t know what to do. She told this story to John, who couldn’t sit by and do nothing. John took a shot, tracked down the contractor and asked him if he did work for seniors and if he had a good record, as he wanted to have a resource of contractors to refer to in the future. The gentleman, excited to have a contact in the realty industry, “yes’d” him up and down and then John threw out my client’s name. Within minutes after the call, my client got a call from the contractor who scheduled the time to complete the job and did. My client hung up the phone and immediately called John to thank him. She called me the next day and couldn’t wait to tell me the story of her hero. Well, the job is complete now and my client totally trusts in me. John’s heart is totally in the right place and he is here to help us”. This may not be the norm, but certainly this kind of abuse happens and the characteristics that Seniors look for first is honesty and patience. The referral above came from one of several resources of companies that assist Seniors in transition. Today, we established the need, the business opportunity and the personal characteristics required for real estate professionals to focus on the Senior industry. In our next blog, we will talk about why it is important to build a network of trusted services for Seniors and their families as they face the decision to sell their home and transition to Adult communities.